Changes is a jazz album released by Keith Jarrett, Jack DeJohnette and Gary Peacock in 1984. This group subsequently became known as the "Standards Trio". The album features improvised compositions recorded at the same sessions as the two volumes released as Standards. In 2008 the three albums were collected into a boxed set, Setting Standards: New York Sessions. 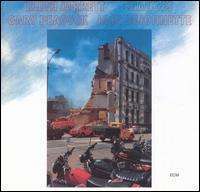 The trio of Keith Jarrett, Gary Peacock and Jack DeJohnette originally worked together on a 1977 album headline by Peacock, Tales of Another, coming back together in 1983 when producer Manfred Eicher proposed a trio album to Jarrett. The three joined in a studio in Manhattan, New York for a 1½ day session during which they recorded enough material for three albums, the two Standards volumes and Changes without rehearsing or pre-planning the playlist. The Allmusic review by Scott Yanow awarded the album 4 stars stating "Unlike the other two Keith Jarrett trio recordings from January 1983, this collaboration with bassist Gary Peacock and drummer Jack DeJohnette does not feature standards. 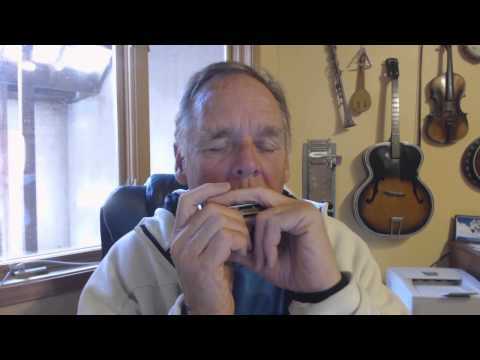 The trio performs the 30-minute "Flying" and a 6-minute "Prism," both of them Jarrett originals. "Flying," which has several sections, keeps one's interest throughout while the more concise "Prism" has a beautiful melody. It is a nice change to hear Jarrett (who normally plays unaccompanied) interacting with a trio of superb players.". 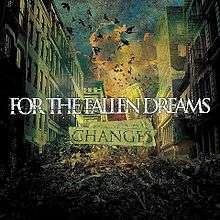 Changes is the debut album from metalcore band For the Fallen Dreams. The album was released through Rise Records on January 8, 2008. Jim Hocking - lead guitar, backing vocals on track 10, "Through the Looking Glass"
"Changes" is the first single taken from Gareth Gates' third studio album, Pictures of the Other Side. 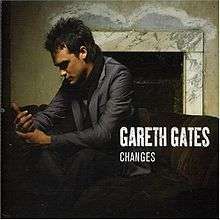 It was released on 9 April 2007 and was his first commercial single since "Say It Isn't So" in 2003. The single charted at No. 14 on the UK Singles Chart but the following week dropped out of the top 40, breaking his streak of top ten hits. The music video for "Changes" is directed by Andy Hylton. In the chart commentary in Yahoo Music UK & Ireland by James Masterton, he rated that "Changes" is a fascinating single certainly. Meanwhile, the Sun stated that "his voice sounds good on the ballad, which washes over the eardrums very pleasantly".